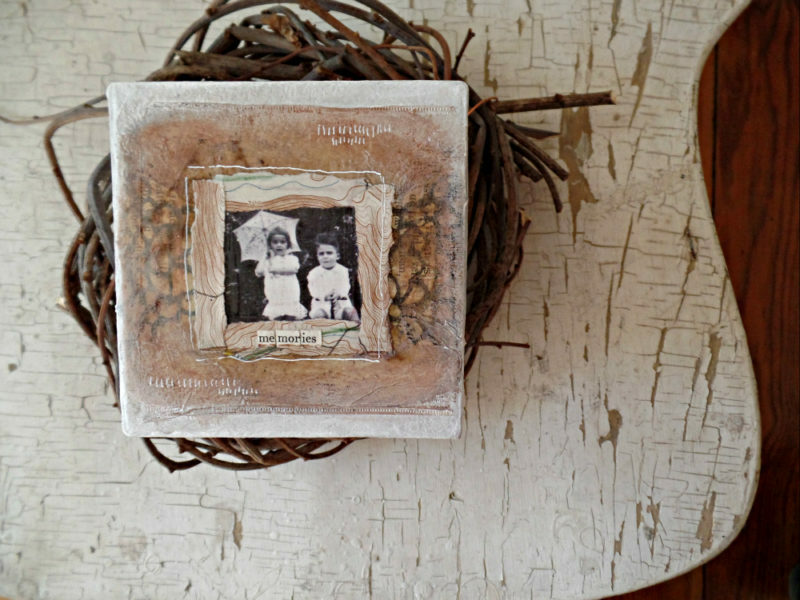 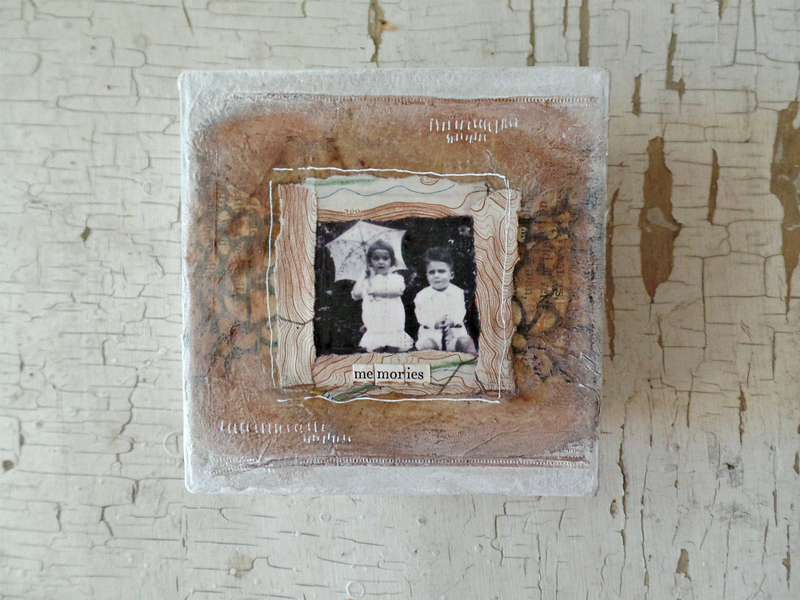 A sweet little memories keepsake box to hold cherished memories. 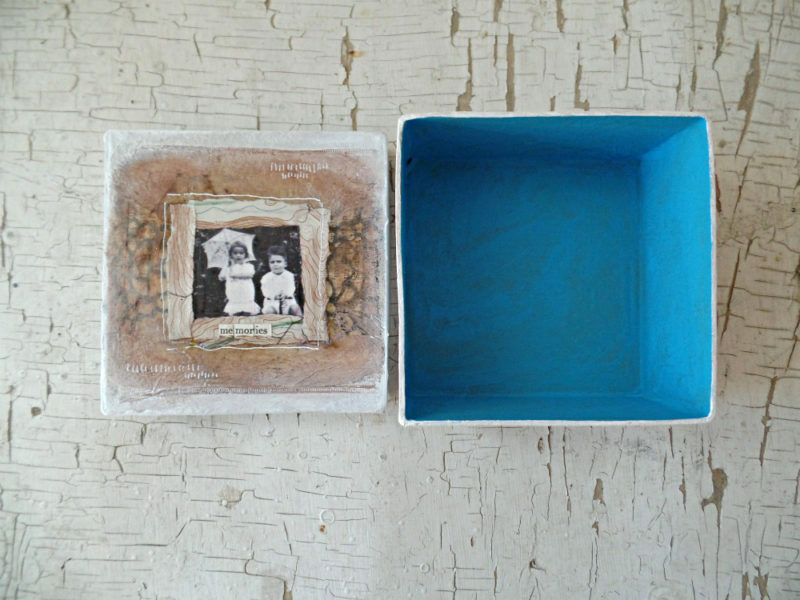 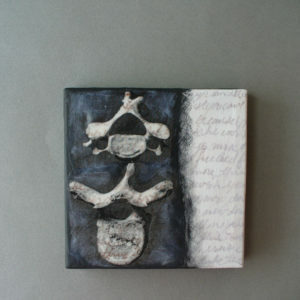 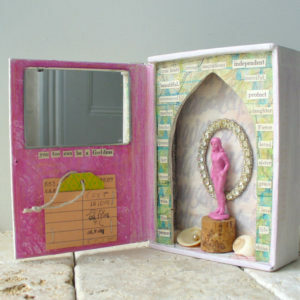 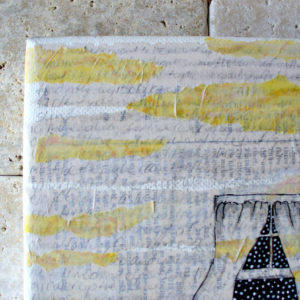 This hand painted and collaged box is a one of a kind piece of art and is signed on the bottom. 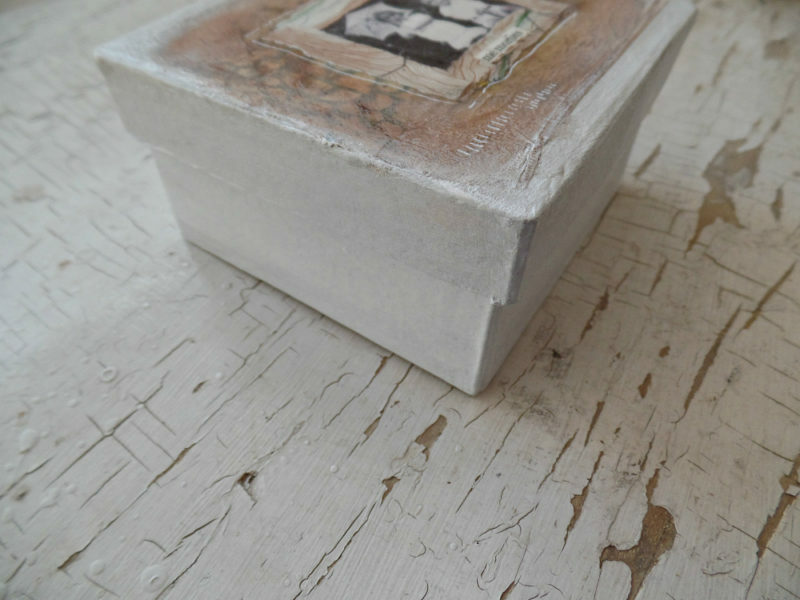 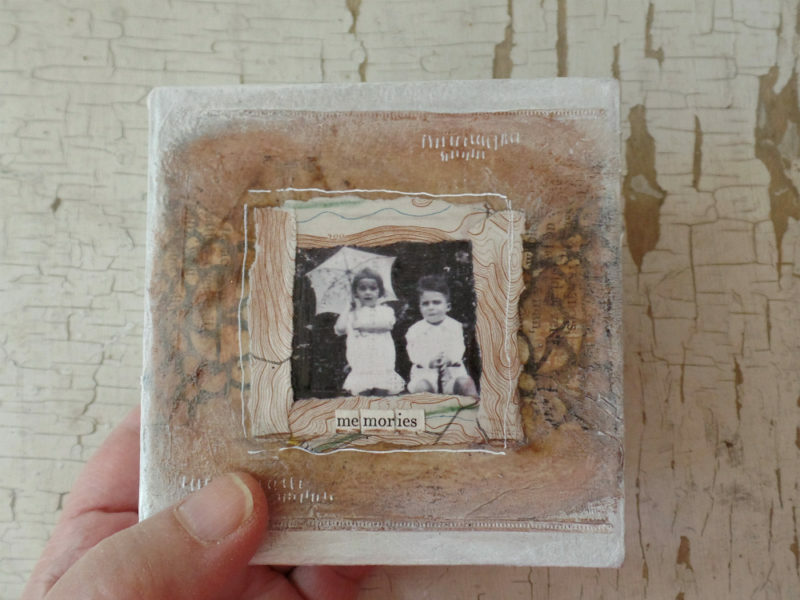 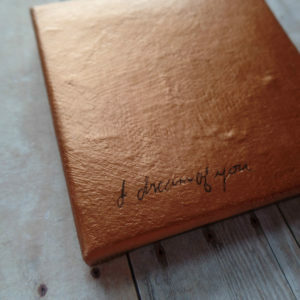 Painted in white in a rustic, imperfect style, the box lid has vintage papers, hand printed papers, vintage maps and an adorable vintage image of a girl with her parasol and a boy on his bike. 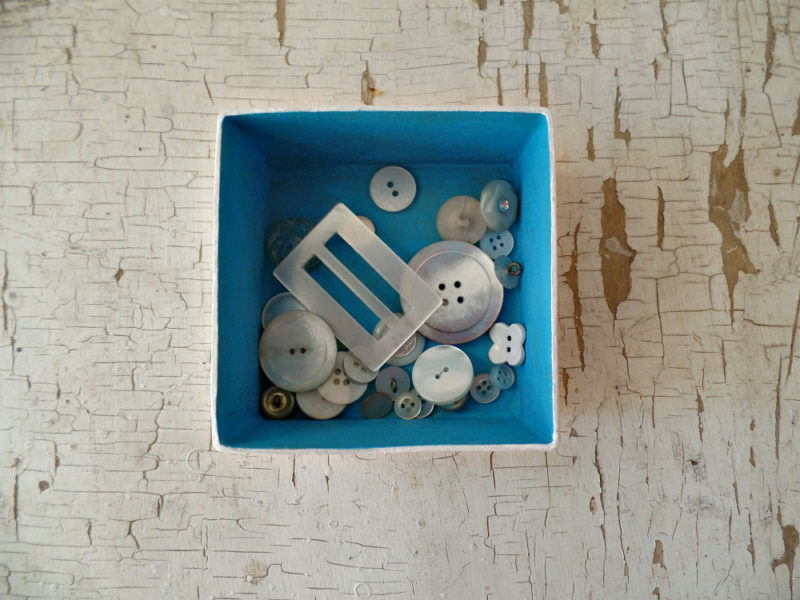 The inside is painted a bright blue.